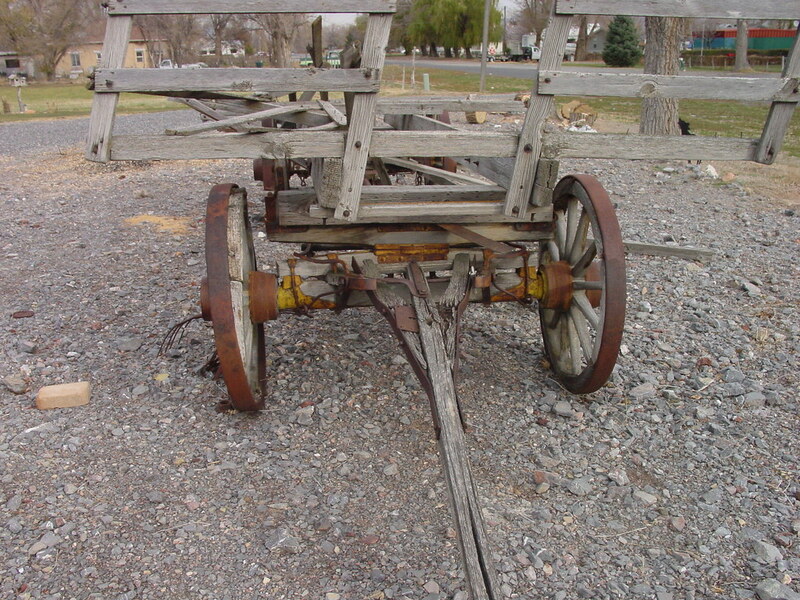 Here's two photos of an old hay wagon. 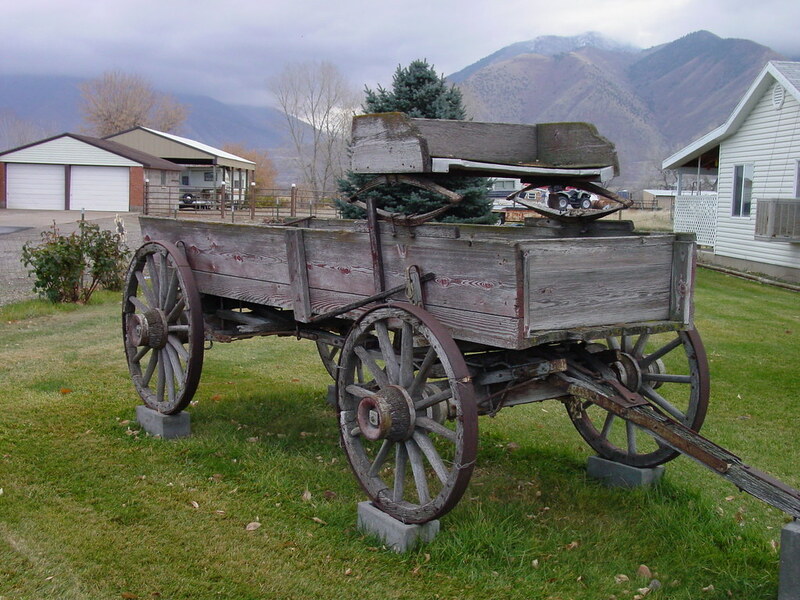 One more old farm wagon. Can you imagine this nowadays? Cars, wagons, bikers (didn't see Marc ) crossing the street from left to right and back without noticing each other as I didn't see any vehicle with a rearview mirror. Those street scenes looked like pure chaos! Lots of near-misses, including two female pedestrians forced to jump out of the path of an automobile that veered in their direction. I built some of the 1:20 laser kits from Grizzle Mountain Engineering. I did add some detail so they could be used in the background on the moduar layout. 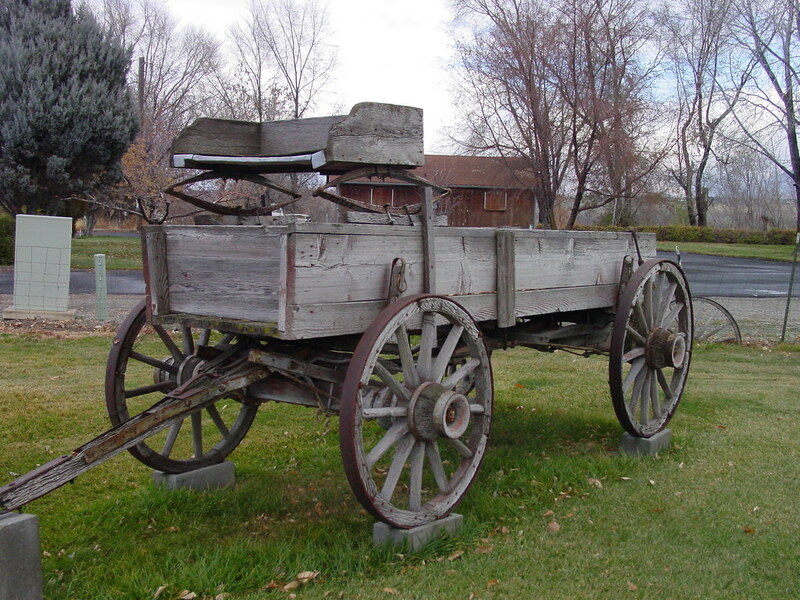 Here are some photos of the farmers wagon. Very nice! Do the horses come with the kit? No, the horses did not come with the kit. These laser cut wagon kits are very basic models and not a lot of detail. Some of the things I added are the metal wheel rims, brake assembly, hubs for the wheels and I also changed the wheel axles so they would turn. The wood barrel and hand tools were also added. The horses are from Schleich and the harness is from an old Budweiser wagon kit that was 1:20 scale. Here's a buggy in 1:32 created from paper and wire. Pretty sweet ..
My bad. I uploaded it to my PhotoBucket account and changed the link. Incredible! Great works, looks like the real thing. 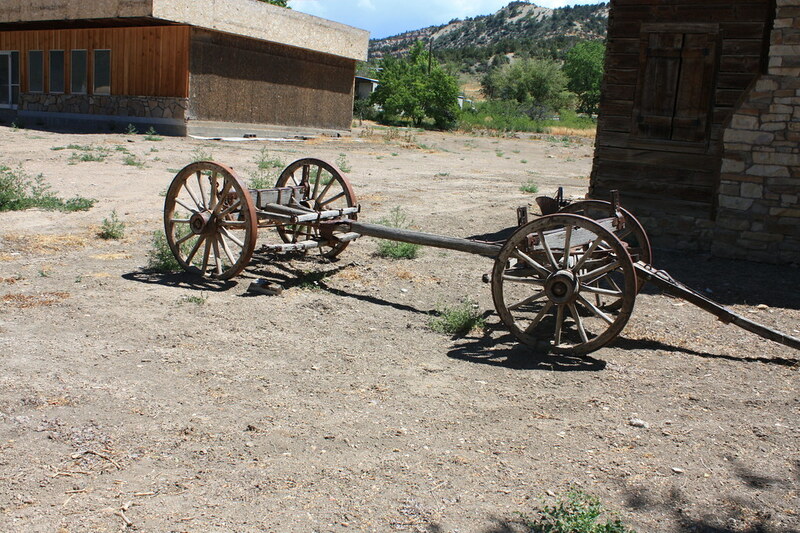 "Archaeologists will date any old thing...."
Here's two more wagons I found on vacation. 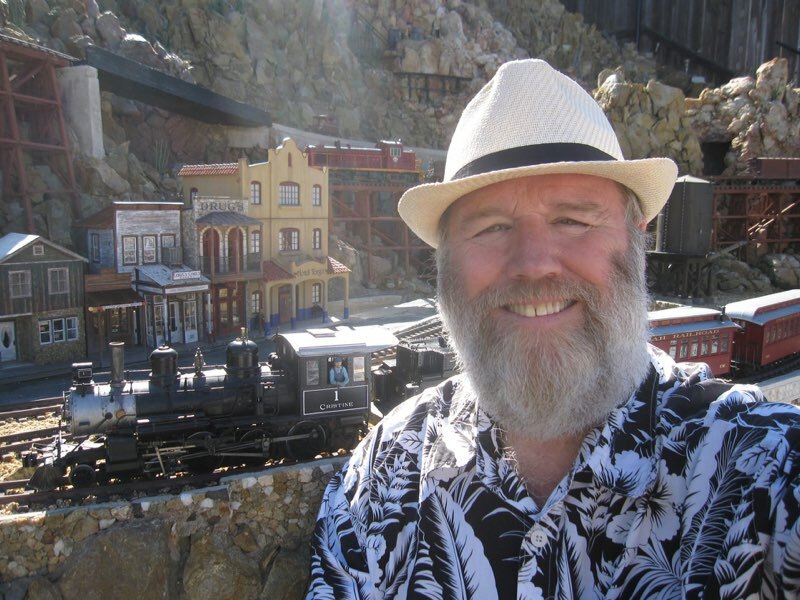 Where did you see those wagons? 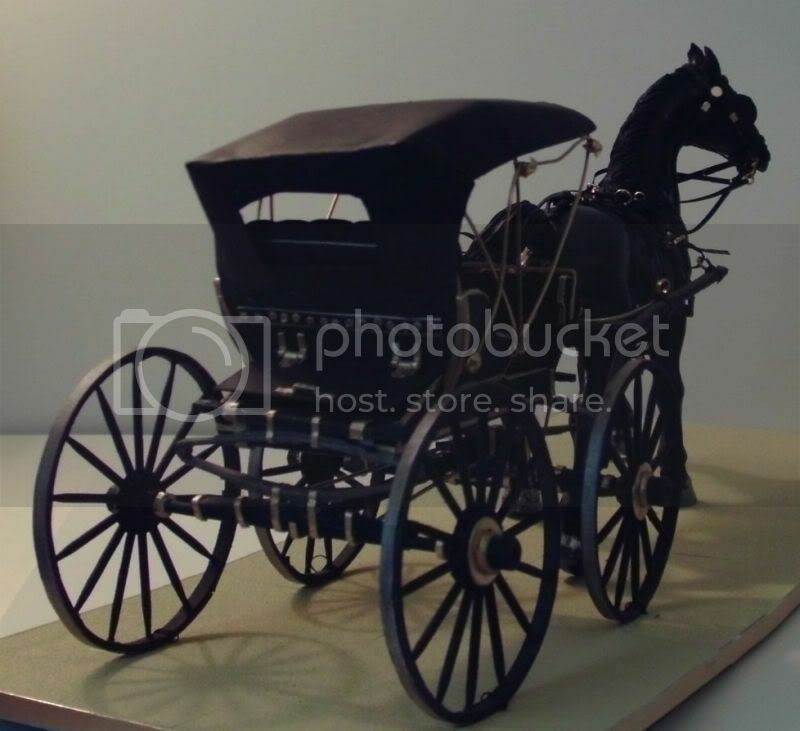 Is that first one a buckboard? 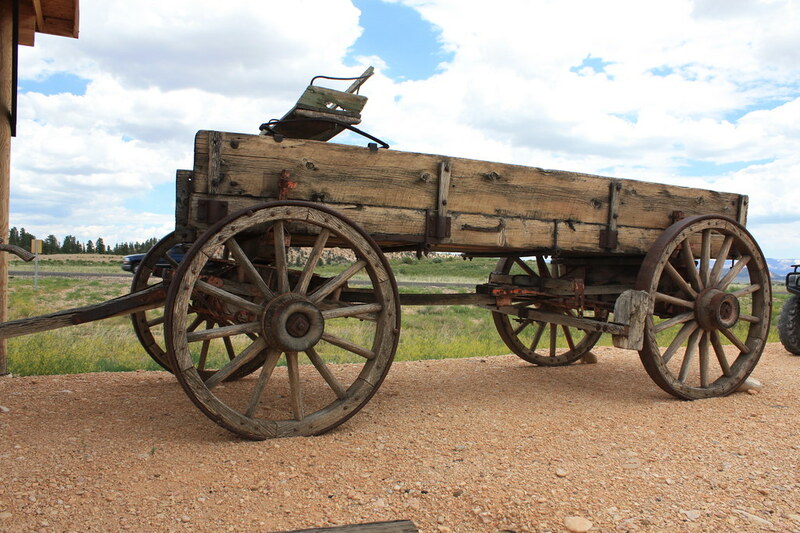 Ray, I saw these wagons in southern Utah. 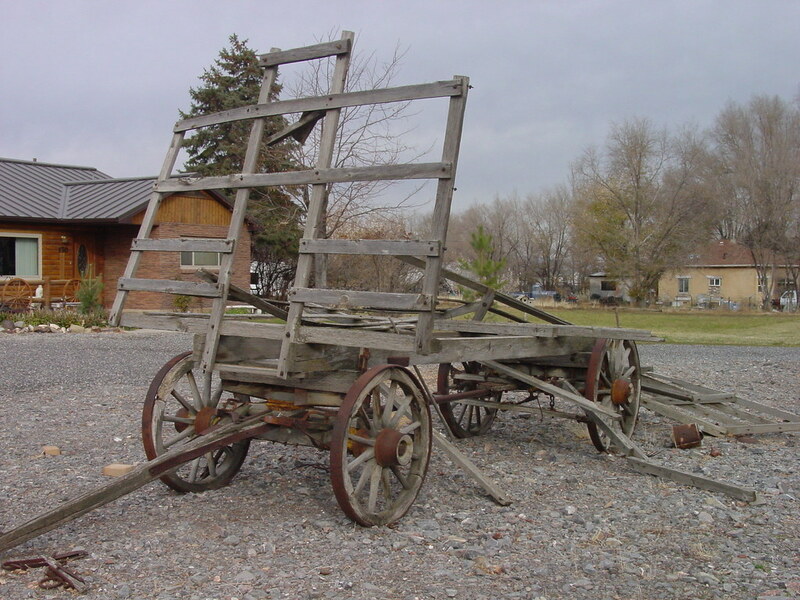 The first one I think is a farm wagon, I think a buckboard is shorter. 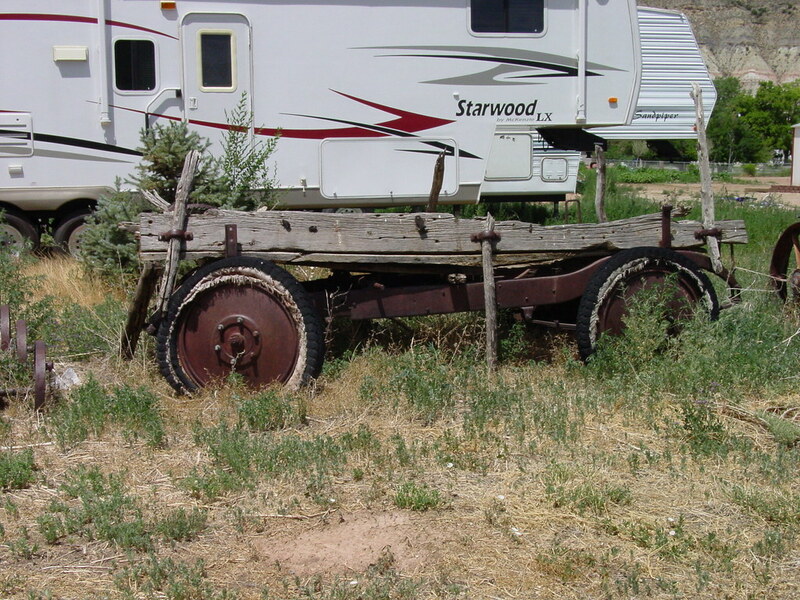 here is one more wagon using a Studebaker frame of some type.